Chinese New Year is a fun and meaningful time filled with family, feasting and important traditions with deep, ancient roots. In the past we’ve brought you recipes for pork dumplings, Nian Gao (sticky cake), egg custard tarts and sweet cream cheese fried wontons. 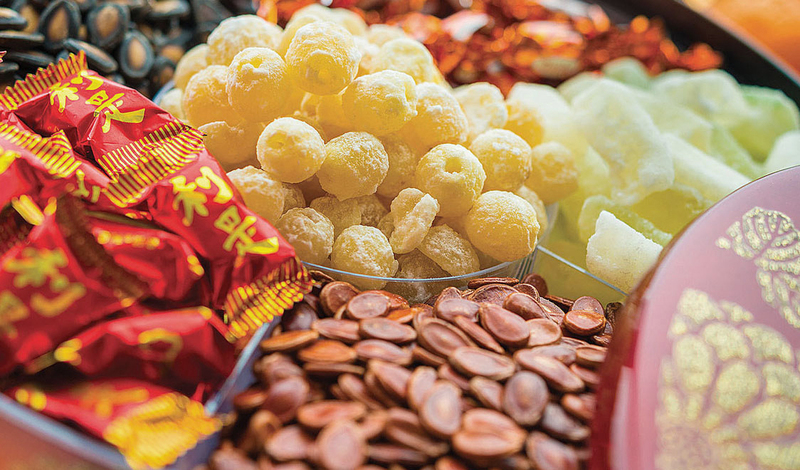 This year we’re featuring another essential part of Chinese New Year, the Tray of Togetherness or Chuen Hop. In fact, this piece of the celebration is so important that it is featured on the 2015 U.S. 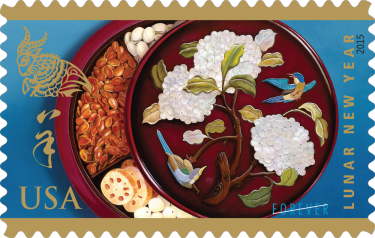 Postal Service Year of the Ram stamp. Assembling your tray is a great family activity. As you collect the elements of the tray and place them in the different compartments, talk about what each food symbolizes and what you’re looking forward to in the upcoming year. Mack, L. (n.d.). Chinese New Year: How to Make a Chinese New Year Tray of Togetherness. Retrieved February 5, 2015. This entry was posted in Bon Appetit Wednesday, Culinary, Culture, Holidays, Public Life and tagged ancient culinary, ancient recipes, AntiquityNOW, Bon Appetit Wednesday, Chinese New Year, Chuen Hop, Tray of Togetherness. Bookmark the permalink.